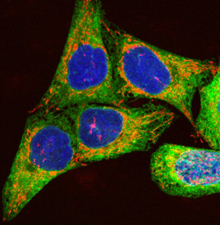 Why are some cells more cancer prone? Baltimore, MD—The interactions that take place between the species of microbes living in the gastrointestinal system often have large and unpredicted effects on health, according to new work from a team led by Carnegie’s Will Ludington. Their findings are published this week in Proceedings of the National Academy of Sciences. The gut microbiome is an ecosystem of hundreds to thousands of microbial species living within the human body. The sheer diversity within the human gut presents a challenge to cataloging and understanding the effect these communities have on our health. Carnegie’s Department of Embryology scientist Steven Farber and team have been awarded a 5-year $3.3-million NIH grant to identify novel pharmaceuticals for combating a host of diseases associated with altered levels of lipoproteins like LDL (“bad cholesterol”). Obesity, diabetes, cardiovascular disease, fatty liver disease, and metabolic syndrome have all been linked to changes in plasma lipoproteins. 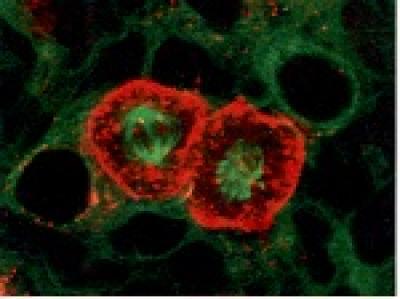 The Gall laboratory studies all aspects of the cell nucleus, particularly the structure of chromosomes, the transcription and processing of RNA, and the role of bodies inside the cell nucleus, especially the Cajal body (CB) and the histone locus body (HLB). Much of the work makes use of the giant oocyte of amphibians and the equally giant nucleus or germinal vesicle (GV) found in it. He is particularly interested in how the structure of the nucleus is related to the synthesis and processing of RNA—specifically, what changes occur in the chromosomes and other nuclear components when RNA is synthesized, processed, and transported to the cytoplasm. 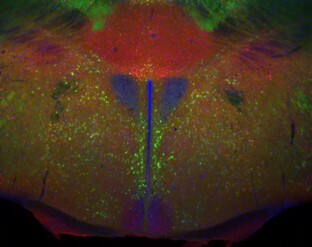 The Marnie Halpern laboratory studies how left-right differences arise in the developing brain and discovers the genes that control this asymmetry. 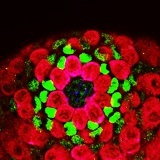 Using the tiny zebrafish, Danio rerio, they explores how regional specializations occur within the neural tube, the embryonic tissue that develops into the brain and spinal cord. In mammals, most lipids, such as fatty acids and cholesterol, are absorbed into the body via the small intestine. The complexity of the cells and fluids that inhabit this organ make it very difficult to study in a laboratory setting. 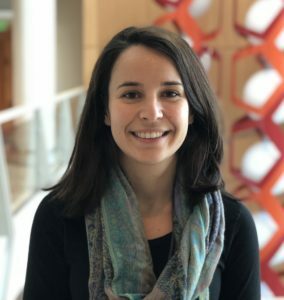 The goal of the Farber lab is to better understand the cell and molecular biology of lipids within digestive organs by exploiting the many unique attributes of the clear zebrafish larva to visualize lipid uptake and processing in real time. Given their utmost necessity for proper cellular function, it is not surprising that defects in lipid metabolism underlie a number of human diseases, including obesity, diabetes, and atherosclerosis. Frederick Tan holds a unique position at Embryology in this era of high-throughput sequencing where determining DNA and RNA sequences has become one of the most powerful technologies in biology. DNA provides the basic code shared by all our cells to program our development. While there are about 30,000 human genes, 98% of DNA sequences are comprised of repetitive and regulatory sequences within and between genes. Measuring the specific set of DNA sequences that are transcribed into RNA helps reveal what and how our tissues are doing by showing which genes are active. Junior investigator Zhao Zhang joined Carnegie in November 2014. He studies how elements with the ability to “jump” around the genome, called transposons, are controlled in egg, sperm, and other somatic tissues in order to understand how transposons contribute to genomic instability and to mutations that lead to inherited disease and cancer. He particularly focuses on transposon control and its consequences in gonads compared to other tissues and has discovered novel connections to how gene transcripts are processed in the nucleus.To accomplish this work, Zhang frequently develops new tools and techniques, a characteristic of many outstanding Carnegie researchers. The Donald Brown laboratory uses amphibian metamorphosis to study complex developmental programs such as the development of vertebrate organs. The thyroid gland secretes thyroxine (TH), a hormone essential for the growth and development of all vertebrates including humans. 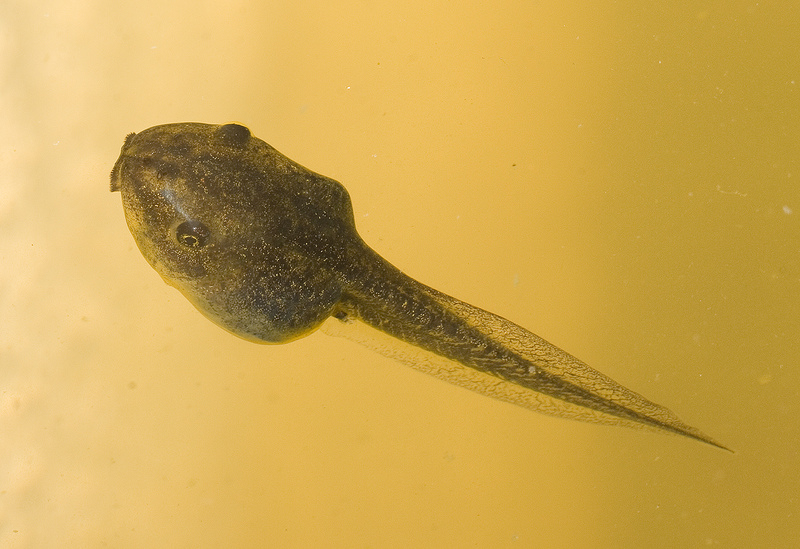 To understand TH, director emeritus Donald Brown studies one of the most dramatic roles of the hormone, the control of amphibian metamorphosis—the process by which a tadpole turns into a frog. He studies the frog Xenopus laevis from South Africa. 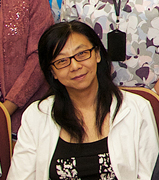 Yixian Zheng is Director of the Department of Embryology. Her lab has a long-standing interest in cell division. In recent years, their findings have broadened their research using animal models, to include the study of stem cells, genome organization, and lineage specification—how stem cells differentiate into their final cell forms. They use a wide range of tools, including genetics in different model organisms, cell culture, biochemistry, proteomics, and genomics.